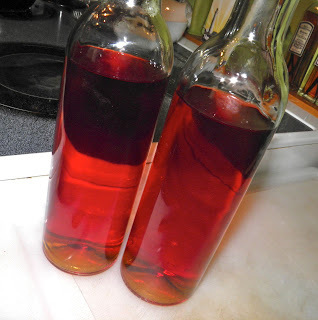 Oddly orange-gold in a glass, but red in the bottle. There’s always one bottle of booze at the liquor store checkout that catches my eye. If you’re a Nova Scotian you know where they are – retailers keep the 125 ml and 250 ml small “whim purchase” bottles where you stand in line to pay for your purchase. The ageing shelf. Left, mai tai liqueur; right, cinnamon whisky. In the middle... to be unveiled in the near future. The bottle I’m referring to is a cinnamon whisky. It always gives me a bit of a shiver. It’s hot and “evil” stuff at 40% alc. vol. Anyone who’s seen YouTube videos of people trying to eat a teaspoon of ground cinnamon will be well aware of the heat that ingredient delivers. It’s a bit of a shame, because both cinnamon and whisky are good flavours, albeit in moderation (for both). I certainly wouldn’t grab a glass and start drinking this stuff. It’s just a) too strong for me, and b) too hot from the spice for my taste. But that’s my opinion only. But what if you could moderate it into more of a sweet liqueur type drink that could either be drank alone or added to cocktails for a burst of flavour? Flavoured whiskey is no new invention. There are many very famous ones. Here are some you may know. 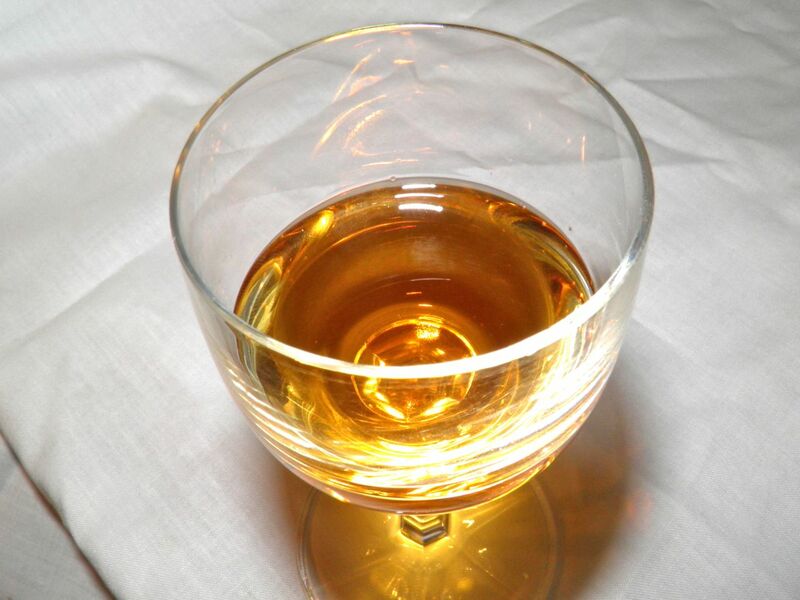 Glayva, made since 1947, is blended with Seville orange, herbs and honey. Glenfidditch Malt Liqueur has citrus, pear and brown sugar flavours. Irish Mist has heather and clover honey, herbs and other spirits, as does Drambuie. Drambuie has a history traceable back to the late 1800s. Straining this one is a breeze. It's all solids. Actually if you think about it, even the famous scotch whiskeys of Scotland are flavoured in their own way. For example, Islay whiskies have a “smokey” taste from peat being used in the process.. Scotch whiskies have a history dating back 500 years so you could say flavoured whisky has been around for a very long time. So there is plenty of precedent to flavour whisky. From my calculation I believe this liqueur racks in at about 20% alc. vol. So that’s strike one. Strike two is that it does’t taste strong. In fact it tastes very, very good. Not at all like my experience with other. This liqueur would be great mixed with cola for sort of a Dr. Pepper kind of drink. There are several mixed cocktail recipes that use cinnamon whisky and are easy to find online. They have some interesting names, like holy hell, flaming gremlin and burning passion. Yield is 2 x 375 ml bottles of red, sweet fire. Yield 750 ml | Approx. 20% alc. vol. 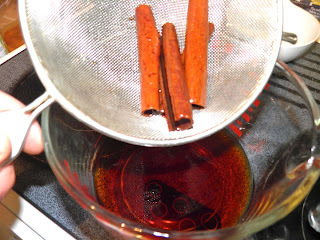 Add the cinnamon sticks to the whiskey in a 1 L Mason jar. Let sit 2 weeks and then strain. Make a simple syrup by combining the sugar and water and boiling for 5 minutes. 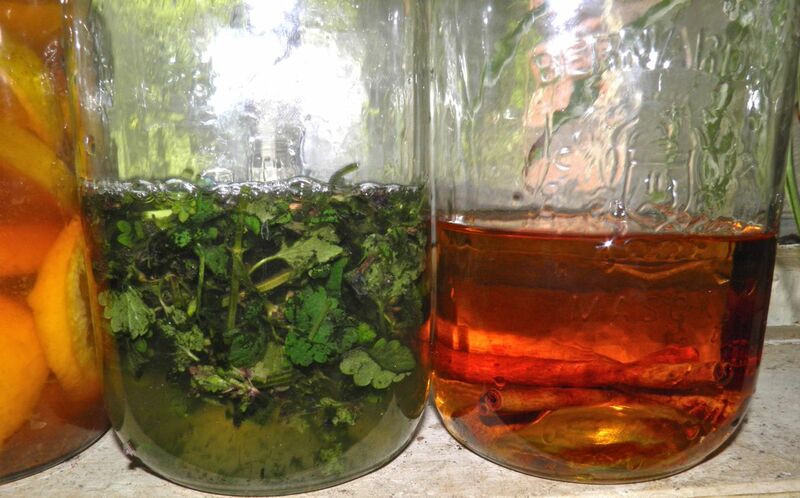 Let the syrup cool slightly before adding it to the whisky. Combine with the flavoured whisky and bottle. I already posted it on you previous comment.